WE OFFER TECHNOLOGY SOLUTIONS TO HELP YOU WORK SMARTER. Set Me Up in the Cloud! From G Suite to Chromebooks for Education, we offer seamless migration into the world of cloud services. We are trusted and authorized cloud productivity resellers. More Than 5,000,000 Business Have Gone Google, Including 64% of the Fortune 500. Don’t be Left Behind. 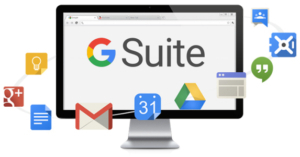 G Suite is a set of cloud-based tools that helps you and your team collaborate and get things done from anywhere, on virtually any device. All-inclusive productivity suite includes email, document creation, file storage & sharing, video meetings, and so much more. Chromebook is a new standard of inexpensive, light, and fast laptops. It combines hardware and software to create a unique web experience on-the-go. Are you in IT and want to easily manage hundreds, thousands, or tens of thousands of users across your organization? Or are you a business lead wondering how Google’s cloud technologies can help your teams get more done, and scale your business? 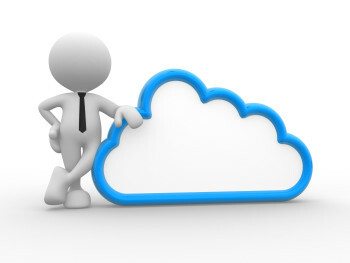 As a cloud computing reseller we help ease the process.